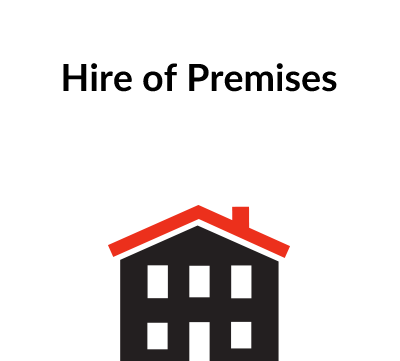 Who can use this Hire or Lease Agreement? 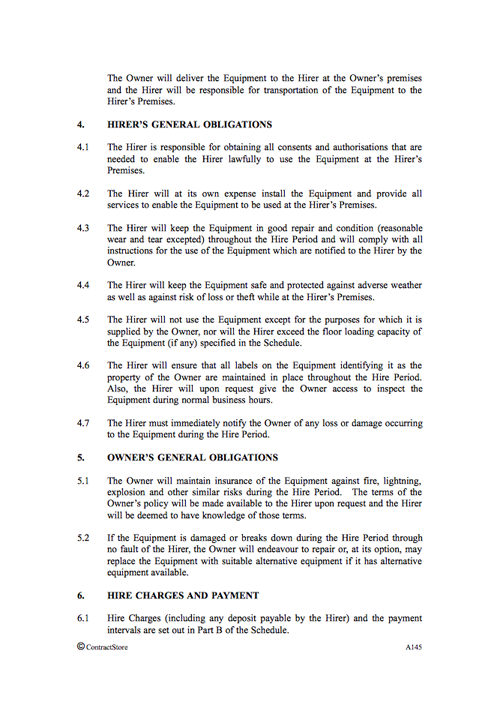 Any business want to rent out equipment to another business can use this Hire Agreement. 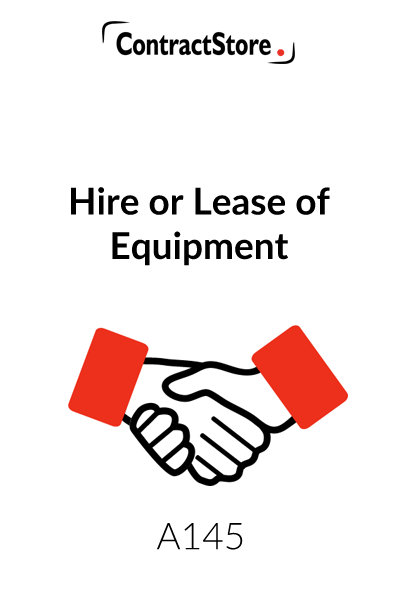 What is this equipment hire agreement for? You need this document if you are an Owner or Hirer looking to protect your interests when loaning out equipment to other businesses. This legal template Hire Agreement is intended for use where one party, the Owner, hires out equipment to another party, the Hirer. The agreement is reasonably straightforward and contains details of the Equipment, the Hire Charge and the Hire Period in a Schedule, which should be completed and attached to the agreement when it is signed. In the UK many hire agreements, when the hirer is an individual, are covered by the Consumer Credit Acts. This Agreement is not written subject to the Consumer Credit Act and is intended for commercial hiring and not when consumers are involved. This is the date when the agreement is signed by both parties. It is not necessarily the date upon which the Hire Period starts. Here set out the full name of each party and the official address of those parties – the registered office in the case of a limited company incorporated in England. The address at which the Equipment will be located should also be recorded – in Part D of the Schedule. We have inserted definitions of the Equipment, the Hire Period and Hire Charges. When filling in the Schedule, care should be taken to include all relevant details. For example, in the case of the Equipment, it is recommended that you include the manufacturer’s definition and any serial numbers as well as referring to cables and other ancillary items. This clause sets out the basic agreement between the parties – namely that the Hirer will rent the Equipment for the specified Hire Period. Clause 2.2 contains provision for the Hire Period to be extended by agreement. It is certainly recommended that any extension is agreed in writing before the initial period (or any extended period) expires. There are two alternatives here – either the Owner will deliver the Equipment to the Hirer or the Hirer will come to collect the Equipment from the Owner. Transportation costs, if any, incurred by the Owner are dealt with in Part B of the Schedule. This contains a number of sub-clauses, not all of which will be relevant in every case. The general approach of the agreement and, in particular, of this clause, is that the Hirer is fully responsible for the Equipment whilst it is in his possession and that responsibility extends to such matters as obtaining any necessary consents from the planning authorities, landlords, etc. The obligations of the Owner are relatively limited. It is not unusual for the Owner of hired equipment to maintain insurance and our clause deals with this. The Hirer should be given access to the policy so that the Hirer knows what risks are not covered by the insurance and what, if any, additional insurances he should maintain in order to have protection against any claims by the Owner should the Equipment be lost or damaged. If the Hirer is required to maintain insurance, the wording would need to be altered. If the Equipment malfunctions through no fault of the Hirer, the Owner has an obligation to repair or replace it – but we have worded this in such a way that the replacement obligation is conditional on the Owner having some spare Equipment to offer to the Hirer. If he does not, a rebate of the Hire Charge while the Equipment is unusable would be appropriate. 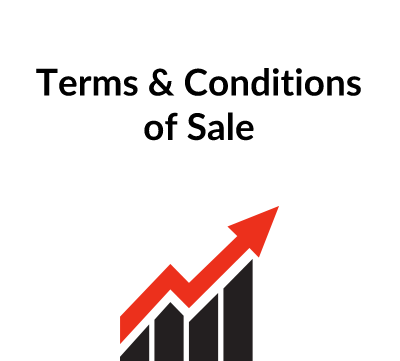 This sets out the basic payment terms – it is usual for Equipment Hire Charges to be payable in advance – either for the entire period or for an initial period of one month, three months etc. If either the Owner or the Hirer is responsible for any extras, e.g. transportation costs, this needs to be covered by the payment terms in the Schedule. Interest may be claimed by the Owner if any payment is late. An alternative to the wording in clause 6.5 would be to refer to interest on the overdue amount ‘at the statutory rate calculated in accordance with the Late Payment of Commercial Debts (Interest) Act 1998’. This applies in the UK and the rate is 8% p.a. above Bank of England base rate. This is designed to protect the Owner against any third party claims. In fact, it is not always legally possible for an Owner to be exempt from liability if, for example, he supplies defective Equipment, which causes death or injury to an individual. The Owner is given the right to terminate and recover Equipment if the Hirer becomes insolvent or commits any breach of the agreement. 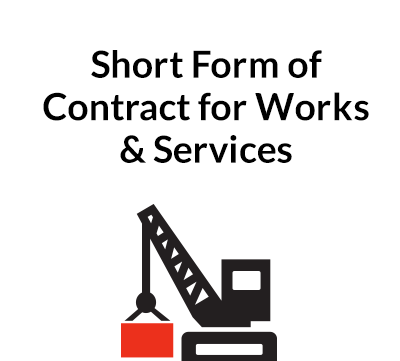 An agreement to hire equipment is essentially an agreement between two parties and it will not be appropriate for the Hirer to pass the Equipment on to someone else – hence the restriction on assignment or subletting. We have kept the wording of this Clause simple, so that it states the governing law and refers to the courts of that country. For more complex provisions relating to the resolution of disputes and governing law, see the free documents on our website. As previously mentioned, the details in the Schedule need to be filled in with care so that the precise terms of the hiring are clear and unambiguous.